When Michael Franti followed up his ambitious, politically-charged 2006 release Yell Fire! with dancehall mass-appeal on All Rebel Rockers back in 2008, it wasn’t entirely clear if he took a palpable 180° away from his activism, or more likely, just got swept up in his Jamaican studio environs. Apparently, the former proves truer as his latest effort, The Sound of Sunshine, takes it a step further as he reunites with Sly & Robbie in Jamaica for a portion of the record, and leans heavily on the formula that produced his first big hit the last time around: catchy-as-hell reggae grooves, dancehall sit-ins, and a fat dose of the Edge’s delay-laden guitar tone. In retrospect, Franti’s Yell Fire! project served a contradictory purpose in that what he expected to drive him toward an album of 15 angry songs, taught him about the importance of simply making people feel good with his music. This ideology of moving people with the sound of the music, as opposed to the message, is something Franti took away once again from another recent frightening situation. In August of 2009, Michael spent over a week in at Cedars Sinai hospital in Los Angeles – or “Caesar Salad Hospital” as he would call it when the pain medicine made Cedars Sinai a bit tricky to pronounce – with a ruptured appendix that nearly cost him his life. While on the road with the Counting Crows, Franti began experiencing intense abdominal pain on a daily basis, causing him to stay in bed all day, leaving only to perform. Ultimately, the pain became overwhelming and Michael checked in to the hospital. While a ruptured appendix might not sound life threatening, due to the bizarre location of his appendix, which was essentially hidden behind other organs, the doctors conducted countless tests, but could not uncover the root of the problem. Thus, Franti began feeling like he might be a goner and began to focus on writing music about loved ones and appreciating the simple things in life. 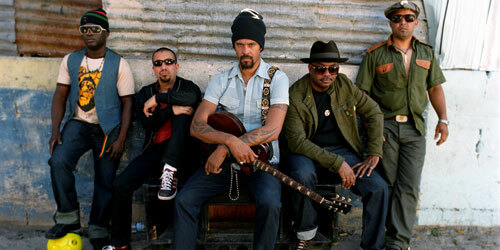 Given the critical success of All Rebel Rockers, which produced a top 20 hit in Say Hey, it’s no surprise that Michael Franti and Spearhead headed back down to Jamaica to pick up where they left off in collaborating with reggae’s most prolific production tandem, Robbie Shakespeare and Sly Dunbar. “There’s nobody else in the world that I’ve ever worked with who works in the same manner as they do. You show up to the studio around twelve and Sly might drift in around one or two, and then Robbie might show up around three or four. I would have already put a little scratch track down for a song, a little guitar part or maybe a drum machine beat to follow along to,” Franti jokes. Despite having produced served as a rhythm section for everyone from Bob Dylan to Peter Tosh to the Rolling Stones to Ben Harper, Sly and Robbie clearly uphold their reputations as laid back Jamaicans. In this era of information overload, Michael makes a concerted effort to stay grounded. On their recent tour, he and the band have made a point to perform impromptu shows outside the venues to perform for the people who may not be able to afford tickets to the show, and they always keep the fans clued in via his video fetish, Fran TV. Furthermore, for somebody who’s always on the go and constantly concerning himself with the larger issues of the world, Michael actively works to keep up his positive energy. Maybe there’s something to be said for this positive thinking. In one of the few uplifting stories you hear out of the major labels these days, Michael has one of them. 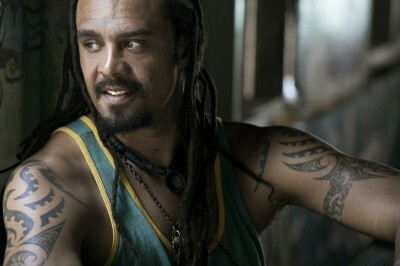 After signing to Capitol Records as an emerging artist back in 1997 and being dropped after two albums, Franti and Spearhead got courted once again by the majors last year on the heels of All Rebel Rockers – and its ubiquitous television licensing success – and re-signed to Capitol on their own terms. “Back in 1993 or ’94, we signed with Capitol for the first Spearhead album and there’s not really any dirty story behind it. With the way the record labels change these days, it’s almost like we’re with a whole new company now. The only people who worked at Capitol the first time around who are still there are one dude who works in the recording studio downstairs and two people who work as security guards,” Franti jokes. To be clear, not every song on The Sound of Sunshine emanates an entirely joyous experience. Michael actually wrote much of the album’s material, such as the song Headphones, on an acoustic guitar in his hospital bed while thinking up the music he would like played at his funeral. Also, never one to put aside his championing of change for very long, on another hospital bed tune, Gloria, he took what he thought was one last stab at motivating the people, inciting listeners into that one last call to action that as a whole might make a difference.